A little late is better than never, right? 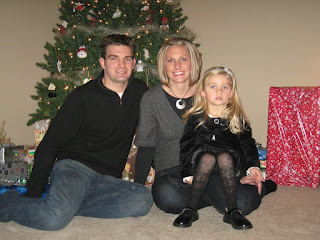 We had a wonderful Christmas. It was so much fun to watch Jenna again this year, she's such a character. Each party had a catch phrase for her. When she opened all her gifts at the Kapenga family party it was "this is exactly what I wanted". At my family party it was "oh my goodness" and with just Dave and I it was "I really wanted this, I love it". 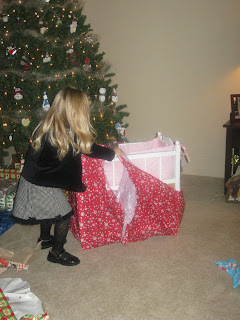 Jenna was super excited when she opened this gift from grandma, a crib for her Bitty Baby! She loves playing with it. Christmas morning we opened stockings right away since it seemed unfair to make her wait any longer. 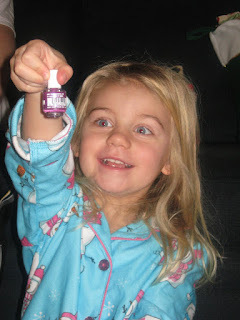 She loved all the little things we had found to fill it, but the eyes got really big when she saw nail polish and Lip Smackers! She was so excited. Some new Lego's. She thought that made a good new toy to play with Dave and they were perfect because they were pink. 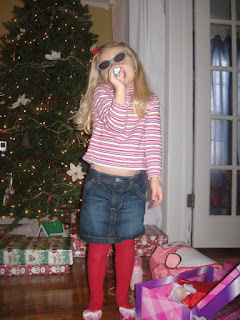 I guess we are encouraging her "rock star" habits by buying her dress up clothes that come with a microphone, sunglasses and heels! 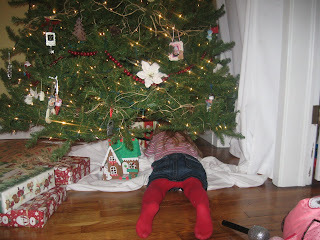 She was determined to get one last present from under the tree. 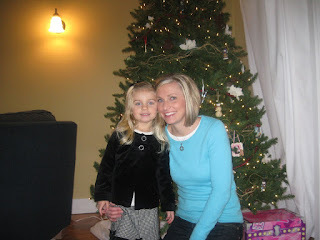 Me and my little girl....I can't believe how big she is getting! Cute pictures. 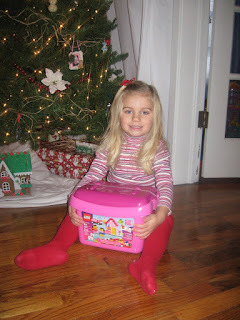 It was so much fun watching her open her gifts. Just a FYI. I put a link on my blog for your house. Thought I would help ya out with a little free advertising. Hope thats alright. 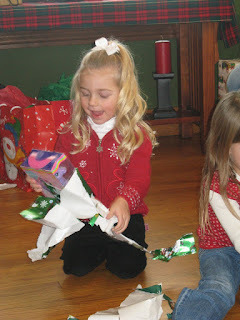 Looks like you had a great Christmas~the young ones really make it fun!